“The risk, and by the way the cost of the risk, transfers in some respects from the customer to us. Not all the risk because you selected us so you still have some risk in that process, but certainly less than what you had before. 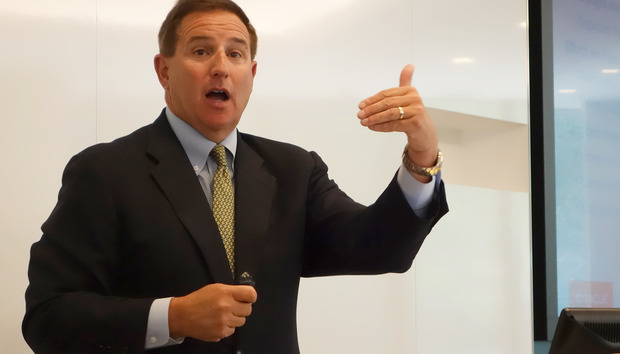 And we’re now going to take on the job of fighting the bad guys and in general we’re going to do that a whole lot better than any individual company’s going to,” Hurd said.